On September 6 he celebrates the first concert in his season as Artist in Residence with the Hangzhou Philharmonic performing Beethoven Concerto no. 3. After his successful Prokofiev 2 with Gergiev and the Mariinsky in Beijing in December, Haochen Zhang starts 2015 with his LA Philharmonic debut -- 3 Chinese New Year concerts under the baton of Maestro Xian Zhang playing Tan Dun and Chopin. Haochen Zhang makes Verbier Festival recital debut! On August 1, Haochen Zhang will make his debut at the Verbier Festival playing Scarlatti, Beethoven, Debussy, Brahms and Bartok. Saturday July 26 - TV show - Proms Extra, 8:25pm BST on BBC 2 - More info. Sunday July 27 - Live TV Broadcast of the Prom concert at 7pm BST on BBC 4 or listen on radio More info. 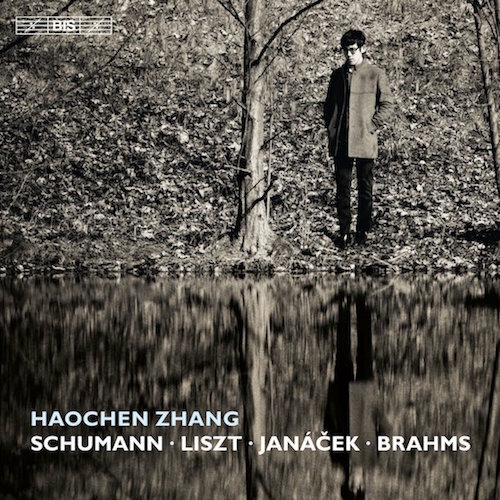 This summer Haochen will make his debut at the 2014 BBC Proms in London, playing Liszt Piano Concerto No. 1 with the China Philharmonic Orchestra conducted by Long Yu. For more details, see the concert listings page or the 2014 BBC Proms programme. Haochen Zhang joins the Shanghai Symphony as Artist-in-Residence for the 13-14 season. During his residency, he will play Rachmaninoff Piano Concerto No. 2 and No. 3, Grieg Piano Concerto and Ravel Piano Concerto in G. He will also play a variety of chamber concerts with the orchestra musicians. Rising star Haochen Zhang has launched his new bilingual web site with details of upcoming concerts and multimedia examples of his performances.